We left off two weeks ago on the topic of trademarks. Hopefully, none of you are looking for the latest Cheerios® software version. Seriously, you may recall I deferred discussion of several topics to a later article. One is the relationship between commercial use and secondary meaning, and I also mentioned that descriptive marks can be tough to register with the USPTO without evidence of distinctiveness. Distinctiveness is arguably the most important attribute of your trademark. Distinctiveness positively correlates with trademark strength. In that last discussion, I mentioned that arbitrary and fanciful trademarks tend to be viewed as distinctive regardless of the length of time during which they have been in commercial use. Let me reintroduce my fetish for cereal to illustrate this point. Imagine a world where the cereal aisle is no fun: nothing but descriptive names. Oat Bran, Wheat Bran, Corn Flakes (sans rooster), Rice Puffs, etc. You can pretty much tell what is in these packages because of their descriptive product names. So, you are walking through this aisle of descriptive marks, when suddenly, wham! You are walloped over the head with a colorful box of Trix®, silly rabbit and all! You don’t know what’s in it unless you read the label! Those multi-colored pieces could be just about anything! 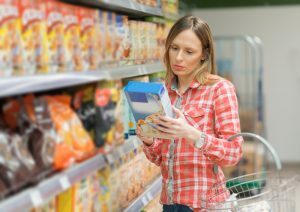 You have two choices: take a leap of faith and decide you are going to take a box home and eat it or read the nutritional panel and think about whether this product is going to be as good as Oat Bran. Once you read the nutritional panel, you may or may not buy it, but it definitely stands out in the crowd of mundane cereal names that make up its surroundings. The take-home message is that one way to be distinctive is to come up with a made-up name and combine it with bright colors and a cartoon rabbit to mark your goods. Another way is to produce goods of great quality, give them a descriptive name, and advertise it mercilessly until it is etched into the minds of consumers that your boring product name is representative of something they love. These types of actions are designed to give your descriptive mark a secondary meaning in the minds of consumers. This is the story of Raisin Bran®. If you can show the USPTO, for example, that consumers associate your otherwise descriptive trademark with your company as the source of the products marked, you have demonstrated that your descriptive trademark has a secondary meaning – a meaning beyond its primary (literal) meaning – and has acquired distinctiveness due to that secondary meaning. This can be done by demonstrating that you have used your descriptive mark for a long time, your sales have grown, your advertising dollars have been well spent, that consumer surveys validate this theory, etc. So, while it’s not a bad idea to pick a name that is distinctive out of the gate, if you are married to a descriptive mark, all is not lost! Read Trademarks Part One and Trademarks Part Two here. Scott Lloyd is a registered patent attorney who specializes in intellectual property counseling and commercialization work. He has served as a technology commercialization specialist and advisor to companies in a diverse array of markets, including biotechnology, pharmaceuticals, medical devices, food and beverage, specialty chemicals, technology and engineering. 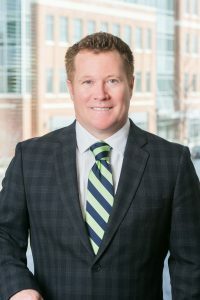 In addition, Mr. Lloyd spent ten years as in-house general counsel to small and mid-sized companies, where he managed corporate matters and resolved commercial disputes in addition to intellectual property strategy, and now serves in the same capacity for entrepreneurial clients. He serves as counsel to small and mid-sized business owners seeking to implement growth strategies and succession plans.